The Formentera Council tax office reports that the administration's general accounts for 2017 are far along in the review process and will soon be submitted to Sindicatura de Comptes (the “Court of Auditors”). The public process, anything but opaque, has transpired to the full knowledge of local political groups and islanders. A special advisory committee issued a favourable report in November. The general accounts were made open to public review over three weeks, as the December 22, 2018 issue (number 160) of the official gazette of the Balearic Islands attests. The next step in the process, definitive approval, is expected to come in plenary this February. Following that, and pursuant to the established procedure, the general accounts will be submitted to Sindicatura de Comptes. 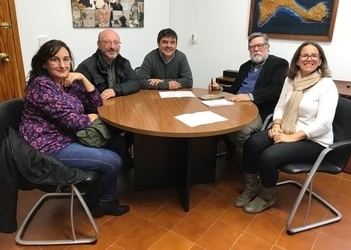 The Formentera Council reports that two administration officials —first deputy chair Susana Labrador and tax office secretary Bartomeu Escandell— have met this week with spokespeople from a group called Platform for Fair Funding in the Balearic Islands. The tax office chief underscored the importance of “getting our islands a REIB that makes good on all the funding deficits we've got with Madrid”, using an initialism that refers to a proposed “special funding regime” for islands in the archipelago. The Formentera Council, said Escandell, “has always maintained our region doesn't get the funding from Madrid that it should”, confiding that that was behind the administration's decision to join the chorus of calls for a fair funding scheme for the Balearics and Formentera. The Platform's goal is to educate politicians and society so longstanding pleas for a funding adjustment are finally heard. Their hope is to bring ordinary people on board as well, so Balearic society be fully united in its call for appropriate funding. Among several of the group's appeals is a call for a new funding model; acknowledgement (via adoption of the REIB) that islanders face significant differences due to geographical circumstances; progressive and substantial increase of investment coming out of Madrid; payment of still outstanding corporate investments; shared responsability with Madrid for the region's debt; measures to ease airport congestion and repeal of the so-called “Montoro Law”. A meeting of the Consell d'Entitats took place this Tuesday in the plenary hall of Formentera's dependent care centre. Spokespeople from groups on the island heard progress reports on the initiatives that received money in 2017 from the Council's “participatory spending”, or pressupostos participatius, initiative. Attendees agreed on a timeline to present proposals and got a peek at the application process. The gathering also aimed to inform community leaders about the three projects launched in 2017 under the aegis of participatory spending. One envisioned an accessible sailboat, recently added to the sailing school's fleet. The other two initiatives —a kids' park and a fitness circuit for seniors in Sant Ferran— are scheduled to receive attention in 2018, pending the Council's acquisition of the land. Tax office secretary Bartomeu Escandell gave an overview of the €26.9 million spending package the administration will direct in 2018. For three consecutive years, the Consell d'Entitats has been charged with choosing how to invest 10% of that money. This year and last, that worked out to €325,000. An agreement was reached concerning the deadline for project proposals. Local groups will be given all the necessary information to prevent repeat projects, and the Council will make its own services available to assist hopefuls in preparing their bids. All of the projects suggested will be reviewed for viability. Once those results have been shared with the Consell d'Entitats, the body will have until May to fix a selection process. The associations included on Formentera's registry of civilian groups have increased from 96 last year to 104. 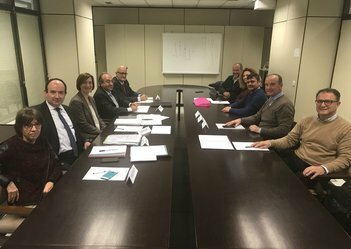 Of those, a total of 78 are active in the Consell d'Entitats, compared to 71 in 2017. The tax office of the Formentera Council announces the rollout, from August 1 to October 1, of an option to make income tax payments ahead of the normal deadline. 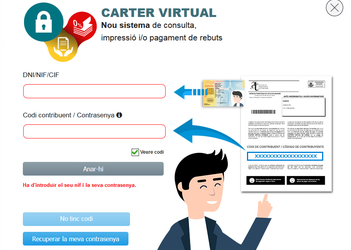 This year the Balearic Islands tax agency (ATIB) has introduced a service called “Virtual Wallet” (“Carter Virtual” in Catalan). Baked into the ATIB website, the new system allows people to track, print and pay fees so they can get payment alerts during the voluntary pay period. Notice containing a special code will be sent via post to taxpayers, who must enter the ATIB website armed with their national ID card. Besides issuing alerts and creating the possibility of early payments on one-off fees (rebuts) and municipal levies (tributs) for real estate, vehicles and business activity, the system also lets islanders to pay the regional tax on vacation rentals and camping sites. Pay notifications can also be obtained in person by visiting the ATIB office at 9 carrer Eivissa in Sant Francesc. The Formentera Council reports that this morning a delegation of local officials that included President Jaume Ferrer, Vice-President/tax office secretary Bartomeu Escandell and assorted staff specialists sat down at the Ministry of Public Works in Madrid to meet with officials there about closing out the so-called “highways partnership” signed between the two agencies in 2009. 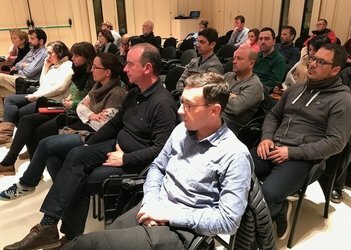 Participants on the other side included Rosalia Bravo, who is deputy project director of the department of motorways, as well as other spokespeople for the tax office and the Ministry of Public Works. The original partnership unlocked an investment of €13.4 million which was used to build roundabouts in es Pujols and Sant Francesc. The money also drove upgrades of local roads, like those near the Sant Francesc primary school or the arterials that cut across Formentera's salterns from la Savina to es Pujols. Most recently, in 2015, money from the fund went to improvements on the road that descends to es Cap de Barbaria. President Ferrer congratulated his island for being the “first to fulfil our end of the 2009 highway covenants”. He noted the agreements drove upgrades across a significant portion of Formentera's roads, plus brought about new infrastructure which made possible the switch to pedestrian-only paths in Sant Francesc, Sant Ferran and es Pujols. Formentera's chief framed the efforts as “new groundwork for the island's mobility strategy moving forward”. Council officials seized the opportunity of the commission's gathering to request a new partnership be considered. Valued at nearly €2.3 million, the planned agreement would enable local authorities to train their focus on highway upgrades, including fresh asphalt and undergrounded utility lines, from la Savina to la Mola. Other improvements envisioned would take place along the road to cala Saona and the stretch of highway from Restaurant es Cap to the island's southern tip.